Those of you who struggle to grow your hair (and there are lots of you, we feel you!) have quite possibly tried every trick and product that claims to help make your hair grow and may or may not have been disappointed with the results. But have you ever thought about how your diet and the vitamins and minerals that you’re possibly missing out on, could naturally help your hair to grow? Well, typically there are many vitamins for healthy hair and many vitamins for hair regrowth, so we thought we’d put together four of the best vitamins for hair growth. These will all help towards your hair to grow lusciously longer and stronger. Fish oil and omega 3 oils have many uses for the body but are essential for producing luscious hair that is healthy and shiny. If you don’t eat enough oily fish such as salmon and mackerel, or you just don’t like fish, fear not as there are supplements you can buy from health shops to help you get the right recommended daily intake to help improve the growth of your hair, to produce an increase in diameter and density of each strand of hair. Revive and protect your hair with our full range of products, specifically designed for hair extensions. To help improve the health of your hair follicle (the source where it is produced), Zinc is what you need. Zinc works to keep the follicle healthy, which in turn helps to promote hair creation and keeps the follicle strong, so it can withstand the development and growth of the hair. Zinc can be found in chickpeas, mushrooms, garlic, pumpkin seeds, yoghurt and of course spinach. Zinc is also found in many multivitamin supplements too. We all know that Vitamin C helps to support our immune system and prevent us from catching colds, but did you know it is also a fantastic vitamin to help your hair grow? Vitamin C helps to build collagen which stimulates hair follicle growth as well as strengthen it, all while it breaks down iron to promote strong and long hair. You can naturally get Vitamin C from broccoli, citrus fruits, and spinach. If you don’t get enough of this vitamin within your diet, you can take Vitamin C supplements to aid additional support. 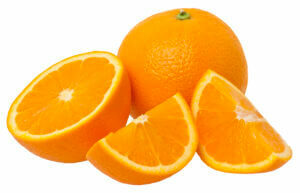 Don’t forget that your body cannot store Vitamin C unlike other vitamins, because it is a water soluble vitamin. Therefore you need to ensure you’re getting the right daily dose of it to help towards keeping your body healthy and hair in tip top condition. 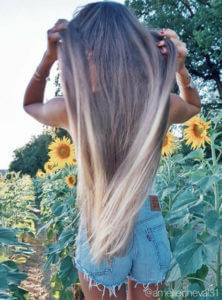 Biotin also referred to as Vitamin H, is an essential vitamin for not only hair growth but for your skin and nails too. Biotin works to improve a better infrastructure for Keratin (a key protein component for hair growth). It’s believed that Biotin works to help reduce hair shedding and improve hair growth rate. You can take Biotin as a supplement but it is preferred to naturally attain Biotin from foods, as supplements have been known to have side effects such as – diarrhea, nausea and cramping. Like Vitamin C it is a water soluble so your body won’t be able to retain it, so you’ll need a daily intake of food that this vitamin is found in, to keep these levels up and to not become deficit in them. You may find that hair care products actually contain Biotin in them to help with your hair growth. These should be used in conjunction with eating the right biotin foods to help provide you with better results. Don’t forget that once your hair grows it is actually dead, and it is up to you and your haircare routine to look after it and keep it in its best possible condition. For a deep, all natural, conditioning treatment Hairapeutix Pre-Shampoo is perfect for keeping your locks in their very best shape. Made from a mixture of Olive oil, Almond Oil, Coconut Oil, Avocado Oil and Alma Oil to bring back moisture, condition, strength and shine through the vitamins, minerals and antioxidants found within these miracle oils. By incorporating these main vitamins into your lifestyle, and establishing a good care routine, you should see the benefits of longer, stronger and healthier hair. FREE Worldwide Shipping on ALL Pre-shampoo Treatments and the Hairapeutix Hairbrush.